Cartise Ivory Blouse 11173, Was £210. 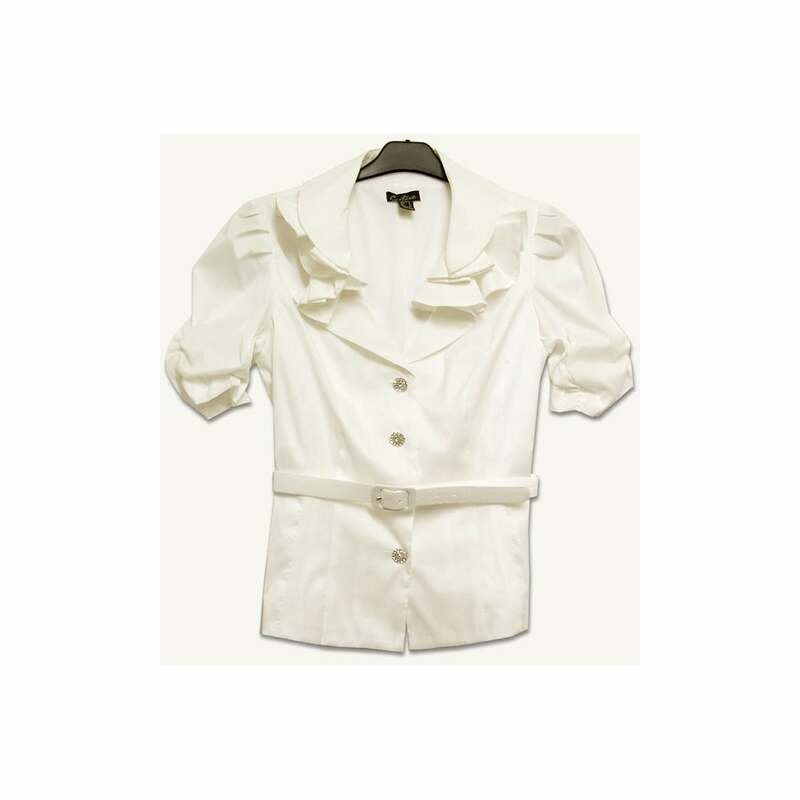 Ivory, fitted blouse with v-neck with ruffled collar, short puff sleeve, rouched, front button with diamante buttons, fabric belt, lined with soft jersey knit fabric. Shell, 49% polyester, 44% nylon, 7% spandex; lining 100% polyester.